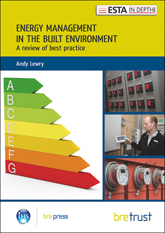 The control of energy in smaller buildings is generally poor, despite the availability of a range of tried and tested systems incorporating both mature and innovative technologies. 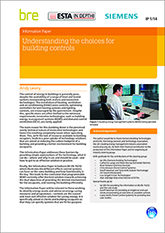 The installation of heating, ventilation and air conditioning (HVAC) zone controls, optimising controllers for wet heating systems, and lighting controls are encouraged by the government. Financial support through the enhanced capital allowances (ECA) scheme and good practice guidance from the Carbon Trust is provided. 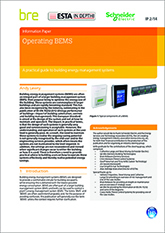 Despite this, specifications are often limited to the minimum requirements; innovative technologies, such as pre-programmed packaged building energy management systems (BEMS) and demand control ventilation (DCV), are rarely applied. 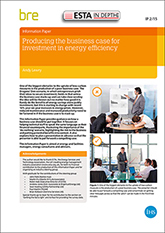 This Information Paper addresses the barriers to applying energy efficient control systems by providing simple explanations of innovative technology, what it can do, where and why it can and should be used - the pros and cons, and how to get to an effective solution in practice.